Rewatch iPhone app will bring BBC iPlayer downloads to your phone | What Hi-Fi? The BBC has cast doubt on whether Camiloo's new Rewatch iPlayer app will get the go-ahead. "Camiloo is not a licensed distributor of BBC content online or on mobile," a BBC spokesperson told paidcontent.co.uk. "The BBC routinely looks for unauthorised usage of our brand across all platforms and when we encounter it we work to resolve the issue." She would not comment further on whether or not this means the BBC would bar the app, which is expected to cost £1.19 if it gets approved. 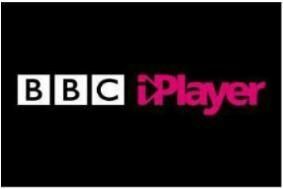 Apple iPhone and iPod Touch owners may soon be able to download their favourite shows from the BBC iPlayer if a new app gets the go-ahead. Rewatch will work on both iPhone or iPod Touch, and Manchester-based developer Camiloo also confessed to working on an iPad version as well, taking advantage of the higher res 9.7-inch screen. Currently, the official iPlayer iPhone mobile browser only allows you to stream shows over wi-fi, making it rather restricting for when and where you can play catch up. However Rewatch will allow you to download your shows when you're in a wi-fi area and then watch them back whenever you want – although you'll only be able to keep them for the length of time they're available to watch. Rewatch is currently in review for release so fingers crossed Apple gives it the thumbs up soon.